Just a few weeks ago I was on a river journey by stand up paddle board, travelling along the River Wye in Wales and that trip planted a seed in me that has only grown since. 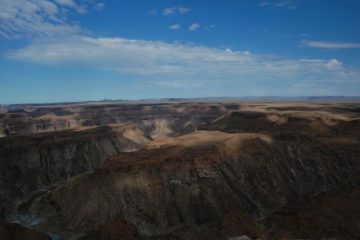 Across that weekend I realised just how immersive slower adventures can be, giving you an entirely different viewpoint on the world that you are travelling through, and I can’t wait to get out on something similar. Well, we have just found a tantalising option in a wild camping canoe experience in Northern Ireland. 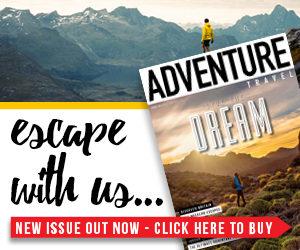 The adventure is one of 13 new slow adventure visitor experiences just launched in Northern Ireland that aim to promote alternatives to adrenaline activities in the area with immersive journeys through wild and natural places being the order of the day. The river journey takes place on the tidal River Foyle and begins at the ‘Port of the Three Enemies’, where the River Finn, River Mourne and River Foyle meet. The journey takes you along the water where you’ll learn of the local area, the heritage and the wildlife that calls it home. Stopping for the night at Gribben Quay, campers get to enjoy a wild food experience with a local chef who teaches you to cook with local ingredients and wild food. Camp craft sessions including fire, shelter and wild cooking skills will see the night away before settling in for a kip ahead of another few hours of paddling. Starting the day in the best way possible with a campfire breakfast, the journey then takes you toward and through the city of Derry for an urban adventure and offers a completely different perspective. Pass under the city’s three bridges before continuing to the historic dockland area where the river meets the sea lough at Culmore Point, which signals the final stretch of this journey by water. Before the finish, the historic landmarks of the Old Foyle Valley Railway, the city cathedrals and the old wharf at Lisahally will come into view, rounding off a weekend adventure combining wild spaces with nature, heritage and history. If canoeing and wild camping doesn’t set your heart racing, there are numerous other slow adventures you can enjoy. 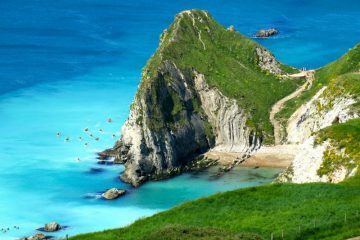 In fact, with 12 other awesome experiences to choose from, you’ll likely find more than a couple that tickles your fancy. Here are some of the other experiences available below. The food and mindfulness tour is a great opportunity to slow things down and connect to nature. You’ll start the day in Butterlope Farm’s vegetable garden sampling their tea and scones. You’ll then spend the morning foraging for food and learning about the medicinal uses for different plants. At lunchtime, you’ll get to enjoy a delicious meal of organic and foraged produce from the local landscape. 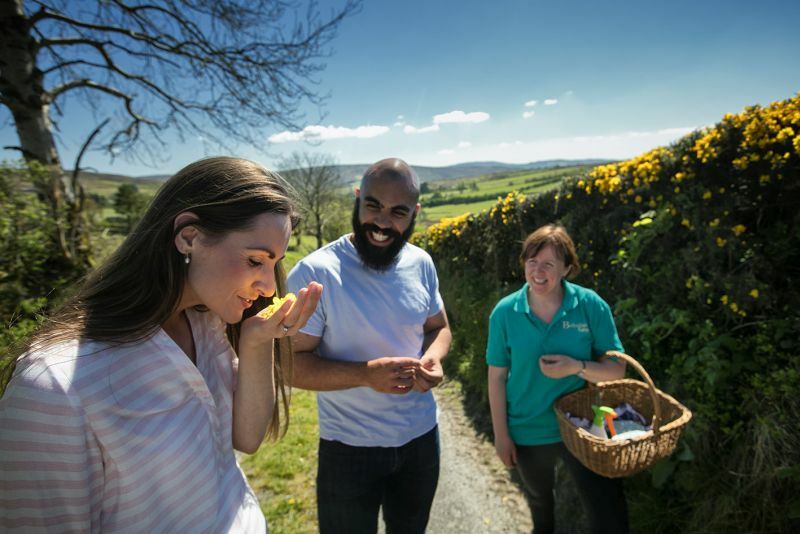 The adventure will continue with a mindfulness tour at Bradkeel Farm where you’ll learn how to use nature to improve your mood, health and well-being, breathe in the fresh air, how to listen, observe and touch nature. The experience will leave you feeling refreshed with a new sense of calm. 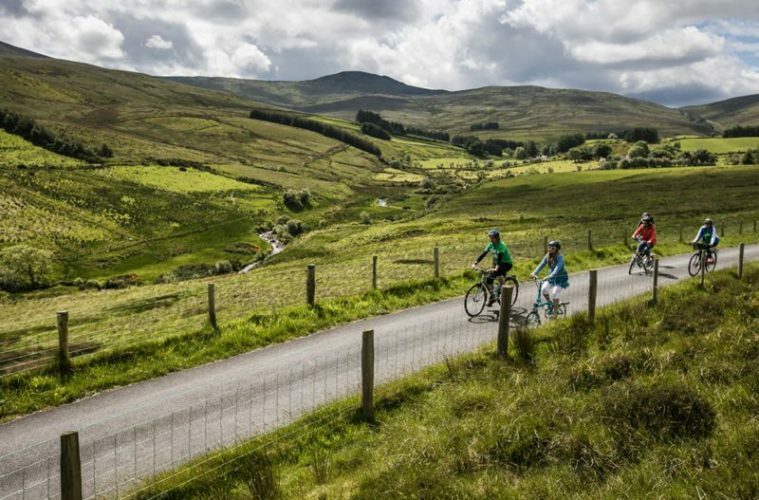 Ramp up the pace with an exciting mix of cycling, scenery and food in the spectacular Sperrin Mountains. Ride along ancient routes and archaeological sites, take in the exceptional views and enjoy off the beaten routes. You’ll also be taken to hand-picked venues to sample mouth-watering food and be provided with an opportunity to try delicious ‘Dart Mountain Cheese’ from a local cheesemaker. The day will conclude with fascinating expert tips on how to grow your own fruit and vegetables. The ‘MacNab’ challenge is the ultimate experience for those who would like to try their hand in shooting, fishing and hunting. 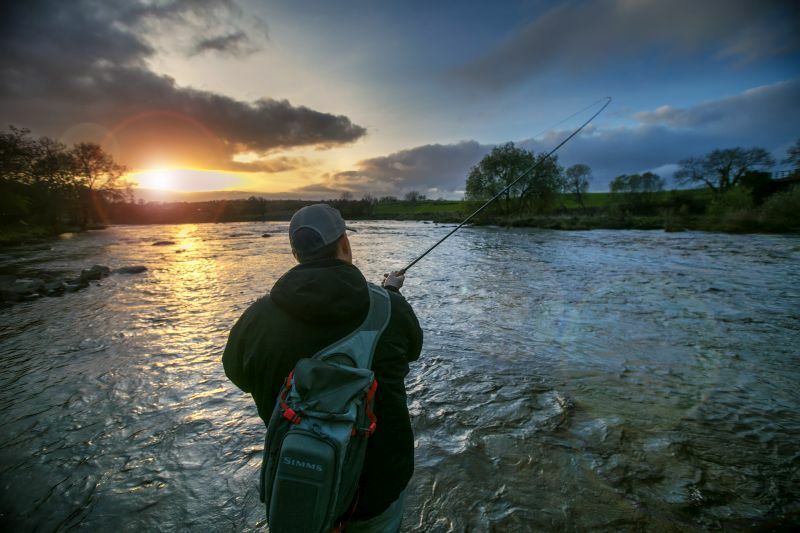 Release your inner hunter-gatherer and enjoy the challenge, inspired by the famous novel John MacNab by John Buchan, to harvest a stag, shoot a brace of birds and catch a salmon on the fly. 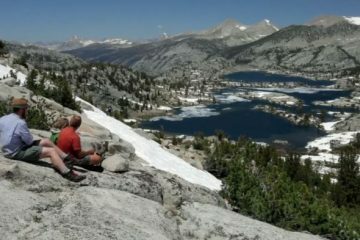 These species are incredibly difficult to find close together making this a unique experience and rare opportunity to participate in these three activities within a 20-mile radius. 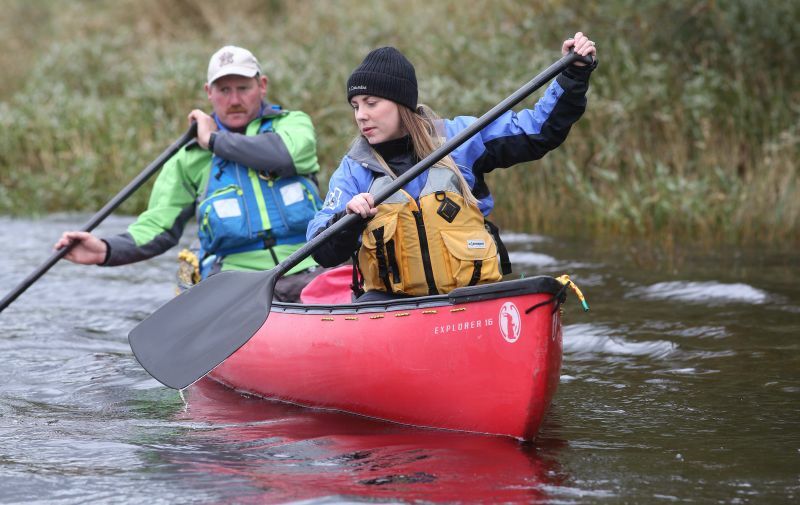 Journey along the great River Foyle by canoe and learn about the local area through stories from your guide, who will also teach you about the local heritage and wildlife. After, you’ll leave the canoes to learn how to prepare and cook with fresh ingredients and rustle up a tasty lunch. You’ll feast on fish, shellfish, vegetables and home-baked bread which are all locally sourced. 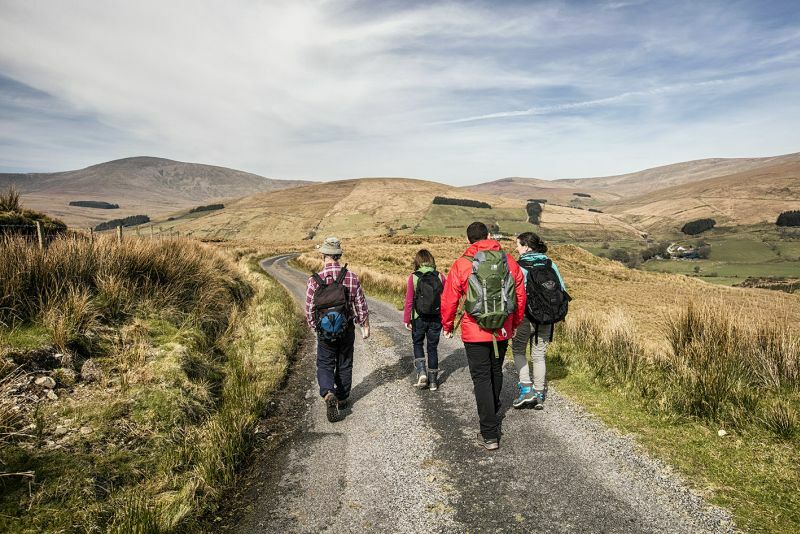 Explore the gorgeous green landscape of the Faughan Valley, along to the foothills of the Sperrins and enjoy the beautiful nature which surrounds you. 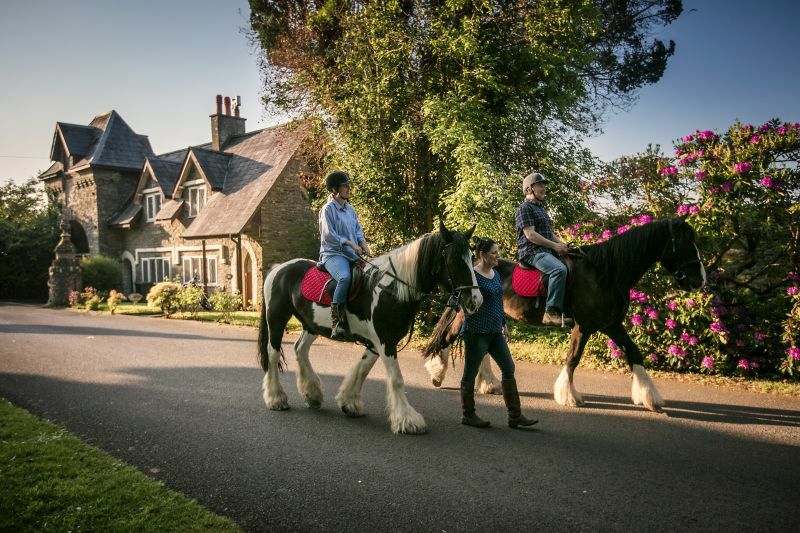 On horseback, you will be captivated by the spectacular and secluded setting of Beech Hill’s magnificent 18th century country house. 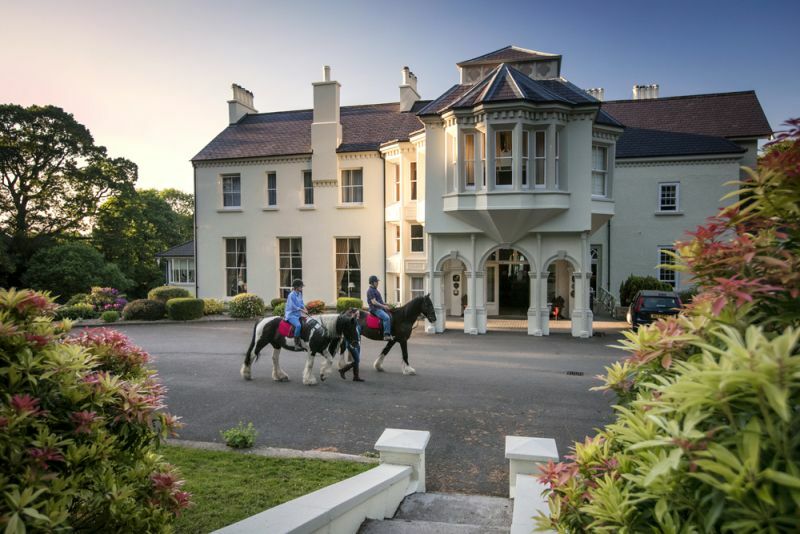 The Georgian elegance of Beech Hill is reflected in the magnificent gardens and creates an idyllic backdrop for a leisurely hack. Your local guide will keep you entertained with stories about the landscape and local characters. In between riding, you can explore the hotel’s grounds either hiking, biking or by visiting their beautiful vegetable garden where you can pick up top tips from their gardener. An Authentic Irish Countryside and Food Tour in the spectacular Sperrin Mountains. 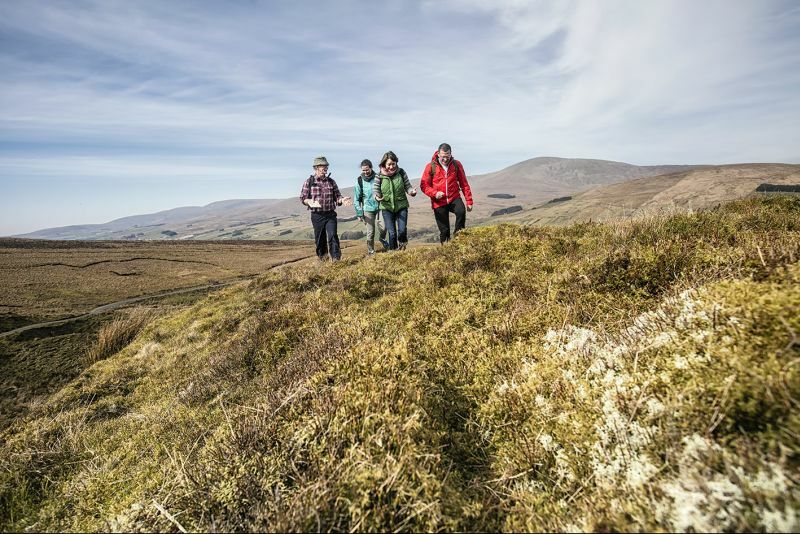 Experience a two-day guided walking tour in the great Sperrin Mountains with local ecologist & archaeologist Martin Bradley exploring the Sperrin’s colourful natural habitats, uniquely sculpted glacial landscapes and ancient ritual sites. You’ll also get to visit Bradkeel Farm where you’ll go on a short tour of their organic farmyard, get to see their organic fruit and vegetable garden plus make and sample traditional soda bread scones. Afterwards you can enjoy a guided tour of the local producer of Dart Mountain Cheese, Tamnagh Foods. 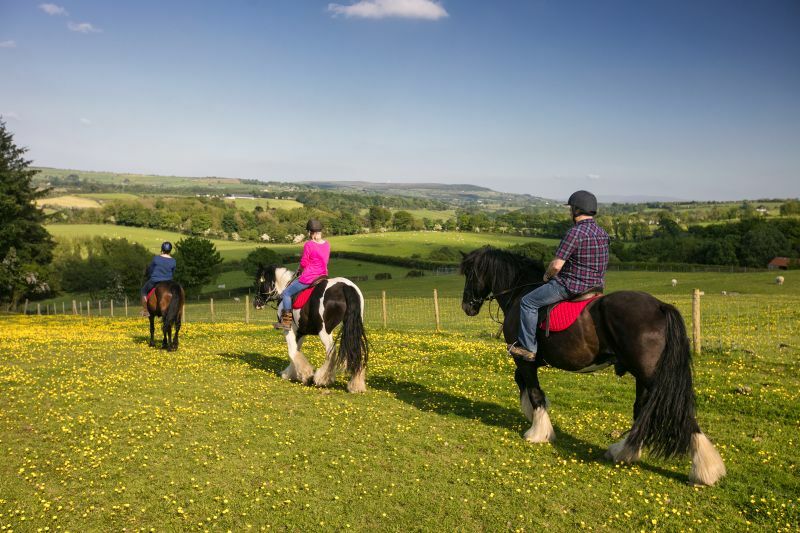 This one-day horseback adventure will not only give you the opportunity to escape everyday life but your guide will help you truly kick-back and connect with nature as you explore the Faughan Valley to the foothills of the Sperrin Mountains whilst enjoying the panoramic views of Derry, Donegal and beyond. Upon returning from the trails, you’ll enjoy a fantastic meal with locally produced and traditionally made options prepared by the hotels award winning Chef, wine and a four-star hotel. An authentic Irish walking tour in the staggering lands of the Sperrin Uplands. 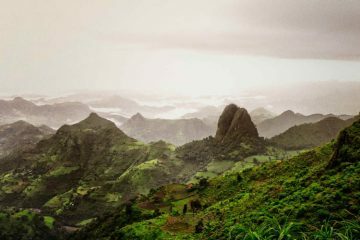 Your tour guide, an expert in ecology, will teach you about the plant life and archaeology of the region’s ancient habitats. 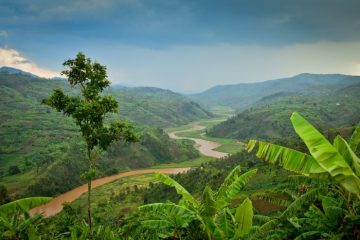 After an enjoyable day in the hills, you’ll feast upon a three-course meal of locally produced and traditionally made food. Trek through exceptional landscapes on horseback and enjoy the panoramic views of Derry, Donegal and beyond. Your horse riding guide will keep you entertained on the way with fascinating stories about the area and the local characters. 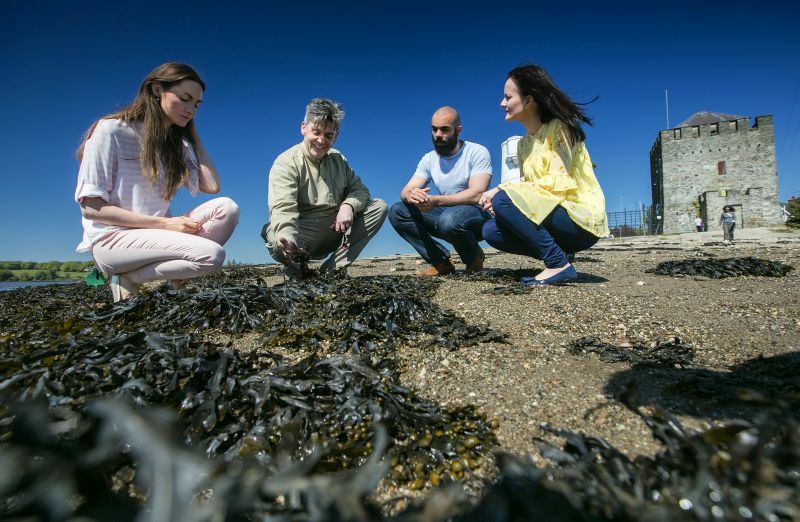 The experience will also offer tasty food, an authentic Irish walking tour, two nights in 4-star accommodation and lessons about the area’s plant-life and archaeology. 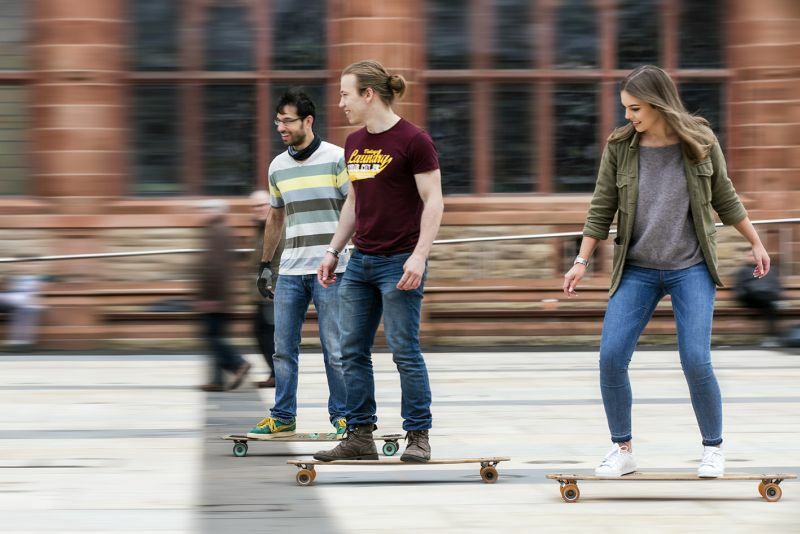 Enjoy an introductory boom board lesson, a Hawaiian long-board which provides a smooth and stable experience which mimics surfing on a wave – just try not to fall off! The day will also include the opportunity to sample some of the newest local brews produced by the micro-distillery, The Walled City Brewery. Experience a unique food journey that will take you on an adventure along the River Foyle and tributaries from the city to the Sperrins Uplands. William McElhinney, ‘The Seaweed Man’ of Wild Strands will guide you from the Foyle River to Butterlope Farm. Here under the expert guidance of Annie Mullan, an ecologist, farmer and gardener you will explore the wild landscape of Butterlope family farm in the Sperrin Mountains. 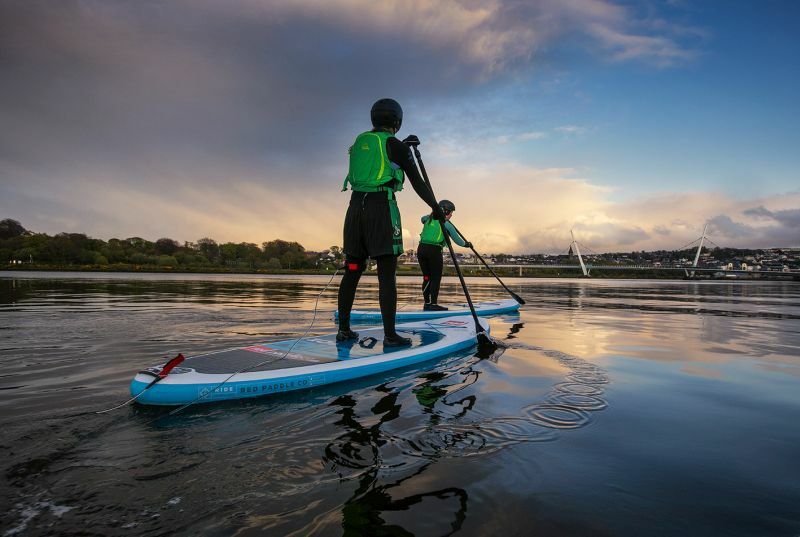 The first and only historic city tour by Stand-Up Paddle Board (SUP) in Northern Ireland – be prepared for a completely unique and stress-free take on seeing the city of Derry~Londonderry. The tour provides a full flavour of the maritime history of the city, including a fresh seafood lunch to go from Award Winning Street Food outlet Pyke N’ Pommes. The experiences you’ve read about here form part of a new programme in Northern Ireland by Derry City and Strabane District Council. 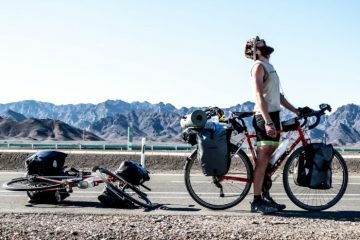 If you’d like to find out more and give them a go, head over to www.slowadventureni.com.